I like this verse because it helps me remember that the Holy Spirit’s got my back. All I need to do is present myself before Him and He will intercede on my behalf for me. I love that. He knows best what I need anyhow! This is so helpful to remember when I feel overwhelmed by life … or even by one particular thing. Jesus is the one who has conquered everything for me. Whatever it is, He is my Portion and I’m going to be okay. He’s got this. I love this; I love the fact that Peace can RULE your heart. Not fears, not temptation, not insecurity, not busyness, not feelings of being overwhelmed, overworked, over-run, or being under-appreciated. PEACE can rule your heart. That’s a lot to ponder! What scripture are you pondering? Last week Michael and I took the kids downtown. My husband did an amazing job, as always, at taking us out and us having a blast together. He always does such a great job at thinking of really fun things for us to do together as a family. And we headed down towards 6th Street. 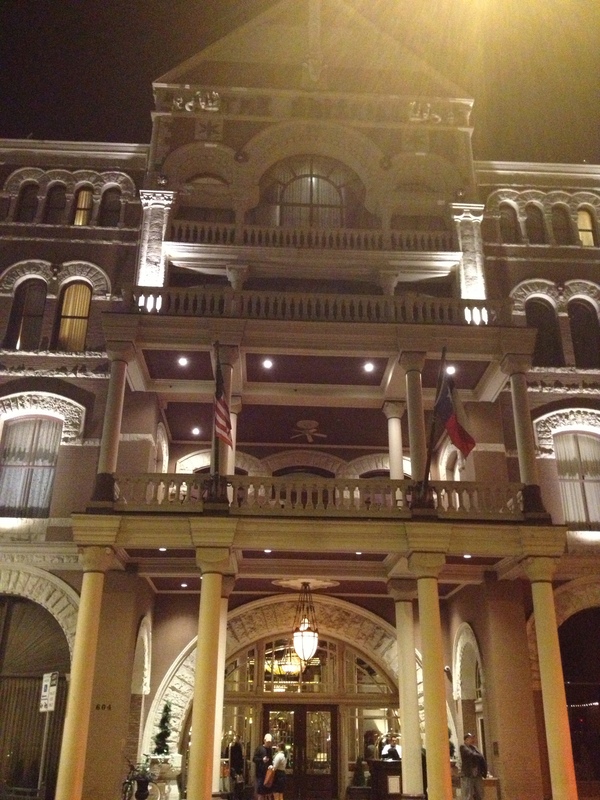 I’ve always wanted to go inside the Driscoll Hotel downtown and so we did. It was gorgeous. We took a potty break there and enjoyed the fancy-ness of the hotel restroom! We ate at a new restaurant called El Sol y La Luna. I wish I’d taken a pic here. It was great food and cute décor. The service was not great at all, but we weren’t in a hurry and I think our waitress might have been new. The chips and salsa were great as were the crispy beef tacos and rice. I LOVED their crispy beef tacos. The meat was very well-flavored and more authentic tasting than Tex-Mex tasting. My (ever so slightly picky) daughter loved their cheese enchilada. And my son at every bite of their kids quesadilla. It was a good overall dinner. My hubby wasn’t too impressed with their a la carte taco menu. I think if he’d had the tacos I had then he would have loved it!!! Just adjacent to El Sol y La Luna is the Esters Follies building. Every Austinite needs to go see this show. 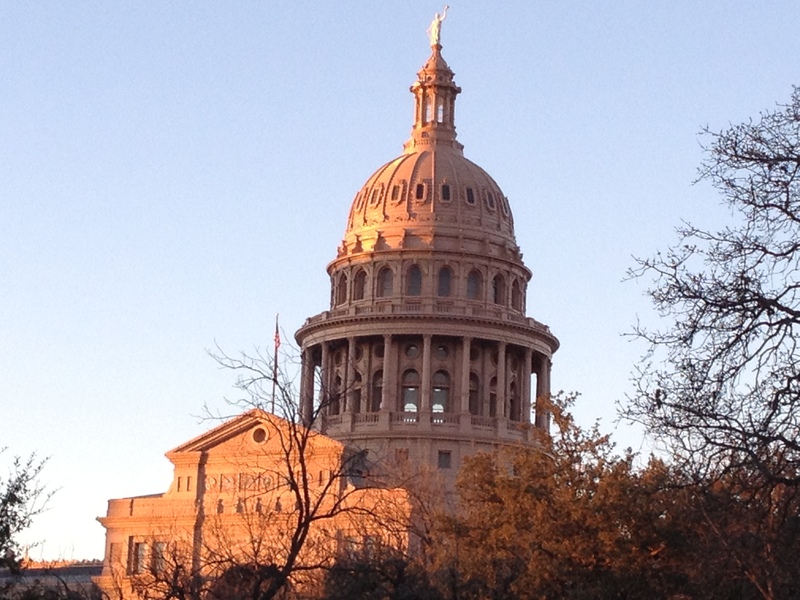 It is soooo funny, right in step with Austin and current events. It’s our own little SNL. It’s super worth it and so funny. I’ve seen this before and think it’s really cute. 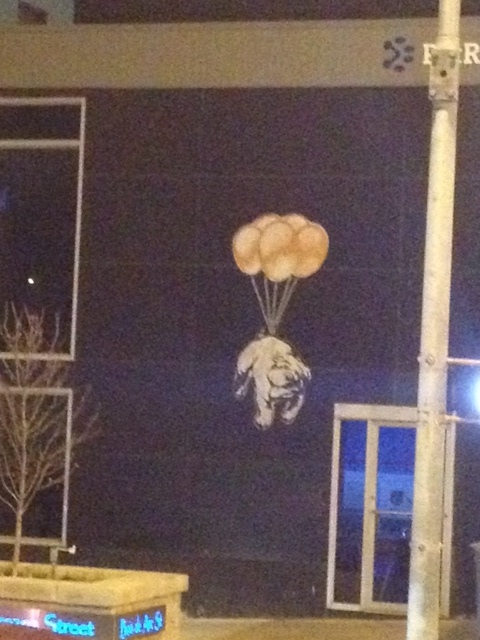 The pic doesn’t do it justice. Austin is fun like this because all round you can find fun things on buildings like this. Maybe this is actually a logo for a business … who knows! 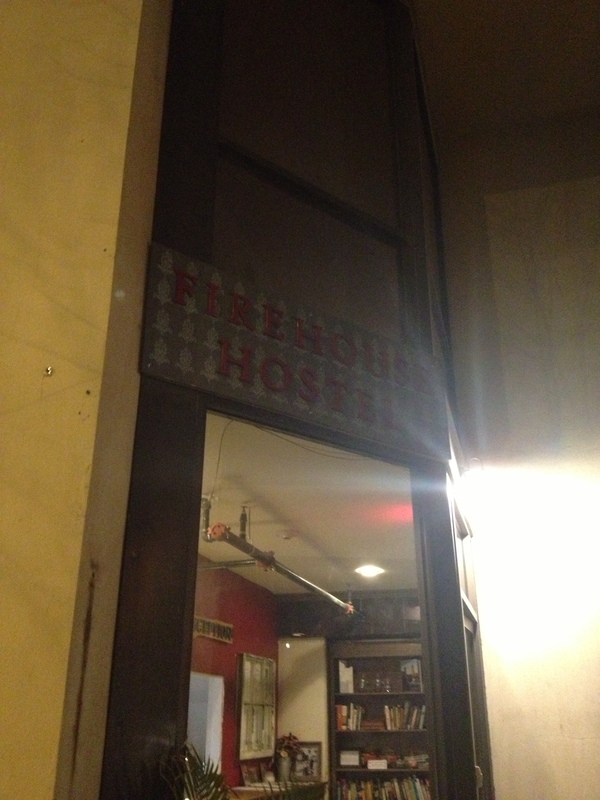 I also stumbled across this … Firehouse Hostel. I had no idea we had a hostel in Austin. Makes total sense. I’m sure this isn’t the only one! Have you ever stayed in a hostel? They are kinda fun. This one is located in the oldest standing firehouse build in Austin in 1885! 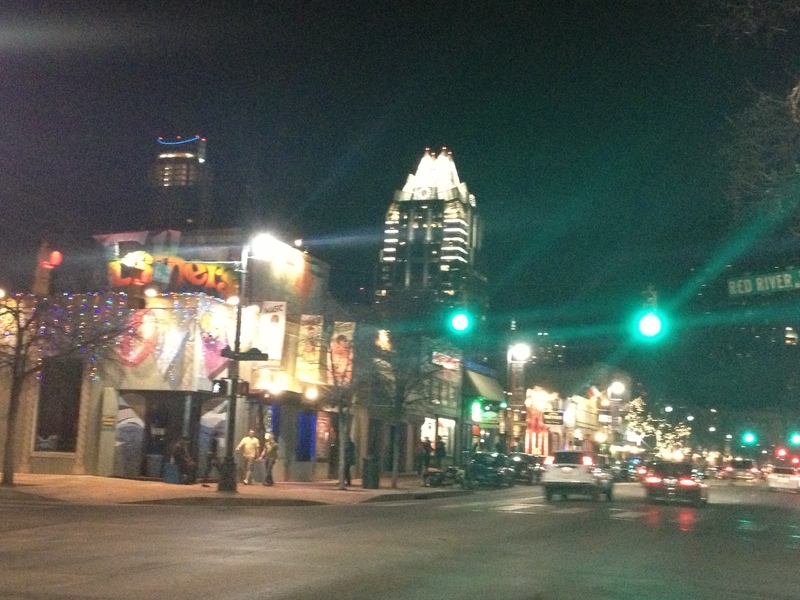 We strolled back down 6th street after dinner. It was around 7 or 8pm on a Friday night. 6th street was starting to come alive. The kids loved it. We held tightly to their hands while fielding questions about our culture and the people around us. Conversations like this are fun. You never know where they will turn. Sometimes things get brought up that I don’t know how to answer. I want to be the one fielding these questions from my littles. I want biblical truth to be their foundation and I want to be actively involved in sharing that truth with them. 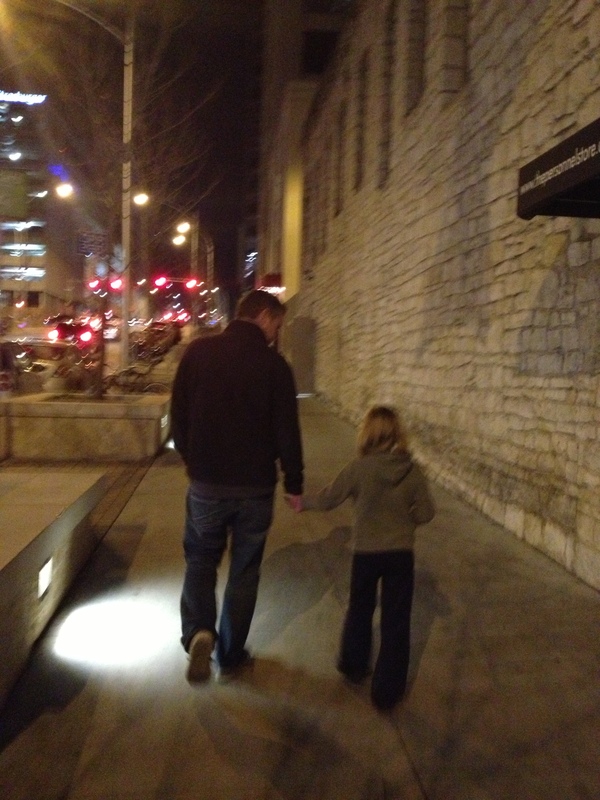 Here are two of my most special people on the walk back up Brazos Street to the car; the 3rd was holding my hand.